Julie: Good morning, Rob. Great to be with you today to learn about some of your contributions to the field of global health. What inspired you to begin this journey? Rob: My path into global health was circuitous. I began with the desire to have a positive impact on patients through medicine. I wanted to choose a field where the work I did would lead to an actual cure. I was interested in adult medicine. Among the adult medicine sub-specialties, the only sub-specialty that drove me was infectious diseases, because it primarily dealt with acute illnesses for which it was often possible to find a complete cure. Through hard work, and some luck, I was able to solve most infectious disease issues and my patients were completely healed. Very different than chronic illnesses where there is no cure. The epidemiology of infectious diseases was always interesting to me because there was the potential of positively impacting large numbers of people. I wound up at Centers for Disease Control and Prevention (CDC) as an officer with the Epidemic Intelligence Service (EIS) which worked on problems that might occur anywhere – overseas and here in the United States. CDC exposed me to significant issues worldwide, especially pneumonia, a big killer of children in the developing world. During the two years as an EIS officer, I worked on projects in Indonesia and then in the Gambia. At each step that followed during my 26 years at CDC, I discovered even bigger problems – some microscopic and others macroscopic. Julie: Macro and the micro issues… how are these viewed and addressed by the Global Health Institute (GHI)? Rob: GHI integrates the many disciplines that exist in global health, especially at Emory University. Disciplines at Emory – theology, business, law, environment, anthropology, economics, nursing, medicine, and public health, among others – are linked together to focus on macroscopic issues (such as climate change, urbanization, or health systems failures) as well as microscopic problems (for example, preventing deaths in children caused by a specific diarrheal pathogen). Julie: When you speak about the macro and the micro, it reminds me of Bill Foege’s concept of the numbers and the faces. At the population level, the numbers help us understand macro issues. However, it’s important to see a face behind every number, to relate to the micro level. Rob: It’s always important to keep faces in the picture. 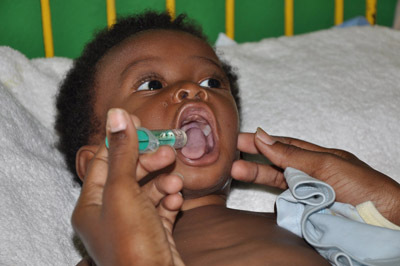 For example, I am working with a project that seeks to prevent rotavirus infection in children and evaluates the impact of prevention through vaccination. It is easy for me to “see the faces” of kids who die of rotavirus infection. And with the Ebola outbreak in West Africa, it’s an even more dramatic story. The outbreak largely stems from a health-related infrastructural problem in West Africa, as well as the urbanization of Africa and the challenges of migration. Just 20 years ago, an Ebola outbreak would have been contained within a village; it would have burned out on its own. Now an outbreak becomes a global problem. If we can see and relate to the individual stories of families (the faces) who are wiped out or to people whose lives have been dramatically affected, it will fuel our interest in solving the bigger problems that lie behind the outbreak. Julie: What do you do personally to keep “faces” in front of you? I can see that your office is filled with photographs and indigenous artwork, and I imagine this is part of it. Rob: Yes, these images can transport me back to the field. Before joining the GHI two years ago, I spent thirteen consecutive years living and working overseas. With my family, I was in Bangladesh for four years and in Kenya for nine years. In both places you didn’t have to work very hard to keep the challenges and struggles behind the faces in front of you. They were everywhere. Living overseas, you are constantly reminded of the problems you are attempting to solve. While it’s a little harder when you are sitting in an academic center, the potential for making a major contribution is still quite strong. And, it is important to get to the field to center your work and commitment and see and hear the personal stories of those you are aiming to help. Julie: Was there anyone in your life who awakened a sense of compassion in you or influenced your move into the global health field? Rob: It was a combination of events and people. My parents both had a very strong compassion gene. I remember one time when I was ten or eleven years old. We were having dinner at one of those outrageous smorgasbord places where you pay five or six dollars and it’s all you can eat and you can barely walk when you leave. A disheveled young man came into the restaurant. He looked homeless. The restaurant staff immediately moved to keep him from entering. My mom sprung up and told the staff, “I’d like to pay for his dinner.” She paid, sat down, and that was it. At the time I thought it was strange that she would do this. But, it was a consistent response from her. It wasn’t until later that I understood. Here we were, able to eat as much as we wanted, and this guy probably hadn’t eaten in days. She saw that. That attitude influenced both my brother and me to enter the field of medicine, and then global health for me. Julie: What are your thoughts about the role of compassion in global health? For many of us who have been involved in global health for a long time, the word ‘compassion’ may be a little hard to get your arms around. It underpins everything we do, but we don’t really think about it that way. I don’t personally go through exercises to try and remind myself to be compassionate, but when my work is finally done I want to be able to know that there were specific people or groups of people that I really helped in a measurable way. My life has certainly been enriched by those people; the help goes in both directions. This was a novel awareness for me. 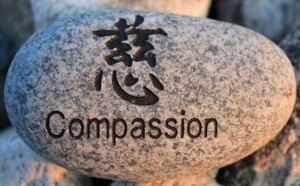 I think that the meaning and significance of compassion and how you approach it just might change as one ages! Julie: You worked in Kibera? Rob: I was based in Nairobi and oversaw the CDC work in infectious diseases in Kenya, which included the rural area in western Kenya up against Lake Victoria. Due to the huge phenomenon of urbanization, in 2004 we decided to include health work in an urban slum environment. Kenya is urbanizing at a rate of 3-5% per year, and almost everyone who moves into the cities winds up in an area where there is ramshackle, sub-standard housing, almost no infrastructure – meaning no sanitation/hygiene, very little distribution of water, no garbage pickup, minimal roads, and little security. These problems are very different than the problems and solutions of people living in rural areas, so we got deeply involved in working in Kibera. 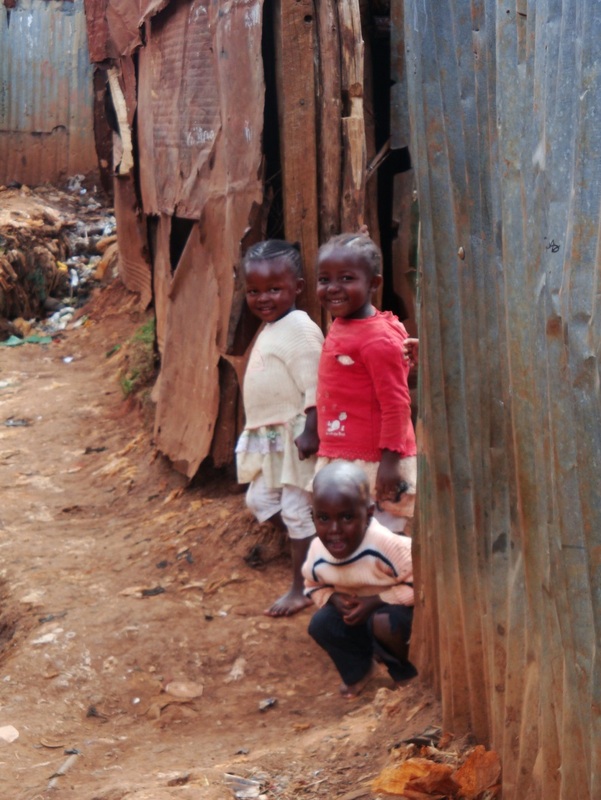 We established a surveillance system with an NGO called Carolina for Kibera, helped build and operate a clinic, which served as the field clinic for our surveillance work. We provided most of the staff, personnel, medicines, and other needs for the clinic. Julie: The work in the Kibera unites science and compassion. Was this a unique opportunity or a unique setting? What made it possible for the science and compassion to come together? Rob: Kibera is hardly a unique setting, but rather the dominant setting within the context of urbanization in Africa. The 21st century is going to be the century of dealing with massive urbanization in Africa, in South Asia, as well as the rest of the world. These urban centers are not equipped to deal with the influx of people living in informal settlements, or what we call urban slums, which are very densely populated by people living in very insecure homes built out of non-sturdy ramshackle materials without any infrastructure. Most of these places don’t have garbage pickup, and there are few options for sanitation, hygiene, and safe water. If there is a fire, it usually spreads. There is no way that the fire brigades can get to the fire because there are no roads. If a woman is pregnant and needs to deliver at night, it is often too insecure to go out, so even though there might be a maternity clinic 200 meters away, she still ends up delivering at home, and that has its own complications. 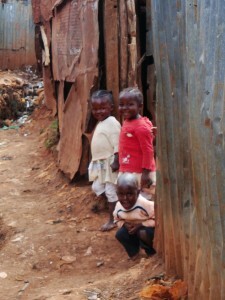 The Kibera urban slum which I worked in was just one of many. More than 60% of the growing population of Nairobi lives in urban slums, most of which are far more “informal” and insecure than Kibera with very desperate living conditions. It is hard to find bilateral and multi-lateral development groups that are focused on changing either health delivery and systems, or prevention and infrastructure. Instead, the development groups are largely focused on the rural areas. That has been their focus for decades, and very few are actually thinking in a big way as to how they would adjust to working in an urban environment. Recently, a document published by Save the Children highlighted the ten best and the ten worst places to live as a mother in terms of maternal and infant mortality – urban slums in Africa featured very high in this piece. The greatest increase in childhood mortality is in these urban slums, and there are few large funders addressing this issue. The usual groups that get involved, the development organizations, aren’t actually trained to address urban situations. I think that’s going to change over the next decade, but right now it’s a pretty desperate situation and many of these places are not getting better. Julie: What was it about Kibera that allowed science and compassion to come together to create a clinic and improve lives? Rob: We were looking for an urban environment that could mirror the work we were already doing in a rural environment. We wanted to study the relative occurrence and differences in disease rates and mortality rates, and then specific types of diseases or problems that would occur in the two different environments. With limited resources to improve health, we were trying to assess what the priorities should be. I had lived in Bangladesh for four years and at that time Bangladesh was the most densely populated and poorest country in the world. In the urban center of Dhaka, a large proportion of people were living in very desperate urban slums, so I was already clued into the importance of this phenomenon. 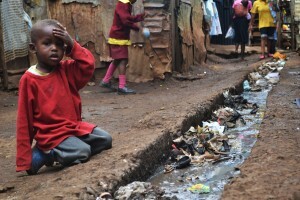 I arrived in Nairobi in 2004 with the bias that we needed to have an urban slum program in Africa, too. 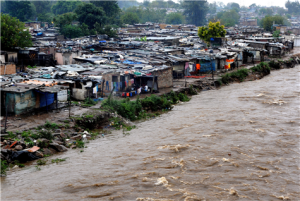 The science included surveillance work for infectious diseases and other diseases that were emerging in Africa, and we included the urban slum environment. We asked a lot of very specific science questions: Can you give a vaccine, such as the influenza vaccine, in such a setting? Will people take it, and would it make a difference? At the same time, we became involved with the lives of these people living in this environment and wondered what we could do to positively impact their situation. The work was built around a sentinel center for detecting diseases, but we also visited every household every two weeks within the surveillance area. This included about 30,000 people, with about 1,000 babies born each year and 3000-4,000 children under the age of five. We’d record information on PDAs (personal data assistants) that were pre-programmed for every single person in that household – since then, the technology has switched to using smart phones. Everybody living in the area had an ID card that enabled them to be recognized when they went to the free clinic that we had helped establish. People living in slums are usually not counted in censuses or recognized by governments. The expression “if you are not counted, you don’t count” resonated with us. We changed that within the community in which we worked. Mortality rates went down. We believe we contributed to that just by being there and providing care and disease prevention messages. The project was unusual in that it not only provided high-quality care but also counted people and gave them an identification card. 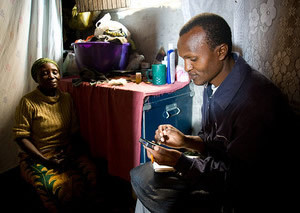 This enabled us to track their illnesses and well-being. The identification card had a barcode and a specific number to access their medical record; it was all computerized. 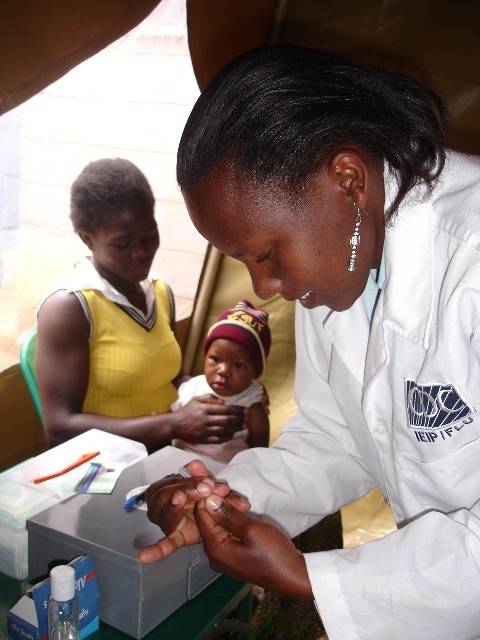 We often had visitors from state-of-the-art facilities in the United States say, “my goodness, we don’t have anything like that here in the United States.” Most of the community health workers were Kenyans, and the clinic staff were primarily from Kibera. Regarding compassion, we developed very close relationships with the staff, who lived difficult lives. We heard their amazing stories, both horrible and disturbing as well as very uplifting, and learned how they were making their way through all of this struggle. Not a day went by where I didn’t have something that would move me in one way or another. Compassion is a motivator, not an end result. It’s not just about feeling good. 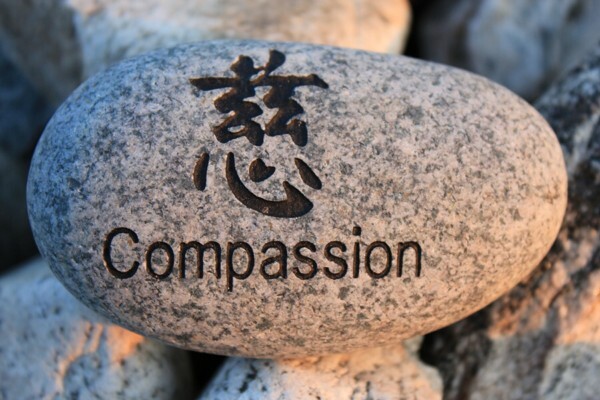 Compassion is the stimulus that brings people to the table who want to make a difference. Julie: Jeff Koplan, Vice President of Global Health at Emory University, has written that “global health is committed to health equity and to health for all” yet in the United States much of the global health funding comes with strings attached. How have you, as a senior global health leader, managed your ideals, your commitment, and the sometimes partisan nature of global health funding? Rob: There are certain funding streams that are appropriated to accomplish certain tasks. For instance, there might be funding to protect Americans against a potential health threat. Ebola is an example. Certainly there is great concern for West African people who are contracting Ebola, and there are political leaders who view the disease from a nationalistic security perspective. They are concerned about how we prevent this disease from affecting the economics, security, and health of Americans. A security perspective can provide an opportunity to accomplish a task that will make the world safer, while at the same time doing a lot of good in local settings such as in Africa. As one example, when I first moved to Kenya, there was a fair amount of funding to build programs for surveillance for infectious diseases that might appear in Kenya and then spread to Europe or the United States. The concern was that these diseases could become pandemics like SARS and threaten global security, economics, and health. To address this, we built a surveillance system and that system had components that were directly beneficial for the people we were serving. For example, as part of the surveillance, we would go into places like Kibera and into refugee camps, and provide healthcare in areas where clinics did not exist and nobody was receiving healthcare. We created a clinical system. We also started making home visits because we wanted to find out how well or how ill people were. In the process, we started introducing things that would improve their health. We were in a position to detect the next dangerous virus that might appear, and we were able to do a lot of good for those people including building a clinic where one had not existed. Julie: So it’s a both/and. There is both a level of protection for the US and there is a real benefit to the indigenous community itself. Rob: There has to be the latter or else it just won’t work. Those who think we can build a safety net for the wealthier part of the world by doing things in impoverished settings without actually positively impacting the people who are living in those settings are mistaken. In the long run, such an approach will not be successful. The only way that these programs will work is for our presence, our efforts, to benefit everybody, albeit in different ways. And by providing these benefits to the most impoverished, we do help ourselves on many levels. 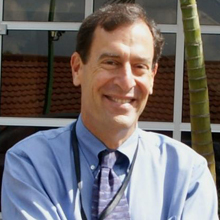 Robert F. Breiman, MD is Director of the Emory Global Health Institute and holds faculty appointments in the Hubert Department of Global Health at the Rollins School of Public Health and in the Infectious Disease Department of the Emory University School of Medicine. Before joining Emory, he was the Director of the Kenya office of the US Centers for Disease Control and Prevention (CDC), CDC’s largest overseas field operation. From 2004-2012, he also served as the Head of the CDC Global Disease Detection Division, based in Nairobi.